As we countdown the days to our May trip to Walt Disney World (and possibly the last on our first annual pass), the hubs and I can’t believe how much we’ve saved by purchasing Walt Disney World general annual passes. While we personally have the means to go more than once a year, I know many families can barely afford one trip a year, if that, so this is not an option for most people. If there’s any chance you think you may be making more than one trip within a twelve month period though (or if you get hooked on run Disney events) you want to seriously consider getting an annual pass to Walt Disney World because of the benefits involved. There are a few different passholder options. Corey and I have the general Walt Disney World annual pass. There are seasonal, weekend, Epcot after 4, Florida resident, Premium, Premier passes, etc. so there is an option for everyone. You first thought may be, “We can barely cover the parks on a trip, how are we going to have time to use the other benefits?” When you are considering an annual pass, you should have at least two trips planned or one longer than 10 days. Otherwise the benefits may not outweigh the cost. Yes, there is a lot to do in the parks, but there is only so much that will appeal to your family. That’s when you take advantage of the other discounts that the pass provides. Now you use your discounts for the guided tours (we highly recommend the Keys to the Kingdom tour) or the bowling and movie ticket discounts. If these were part of your plans anyway, the savings are just a bonus! We personally have taken advantage of the dining discounts. With the pass, there are limitations on the 10% off dining, but generally, most restaurants are included. The limitations include certain days of the week, peak times, and meal times. If you are going to be dining more often and like the sound of saving 20% off food and beverage with far less limitations, Tables and Wonderland is where it’s at! 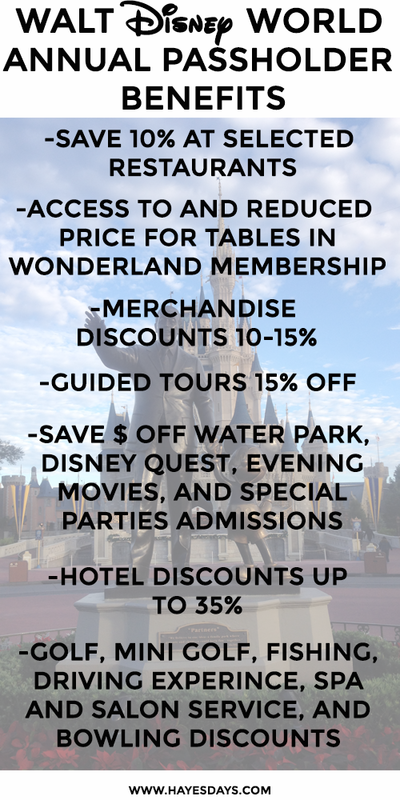 Tables in Wonderland (abbrv TIW) is available just to Florida residents, Disney Vacation Club members, and annual passholders. The cost is $125, but passholders can get it for $100. We tracked our spending, and with the cost of meals at Disney, we made up the price and started saving at our 5th meal. It’s good for up to 10 people at the table as long as the TIW member is paying. Merchandise discounts, at first glance, may seem kinda low, and I agree 10% is not a lot when compared to the price of Disney souvenirs, but it is something. Having that additional savings is a nice bonus. Hotel discounts. I would love to leave it at that, but I cannot stop gushing about the amazing deals available to annual passholders. For our next trip, we saved 20% off of our value resort hotel stay, or about $100 off our four night stay. Disney hotels are expensive, but on property resorts are like no other, and now that Fastpass+ is part of the bonus to staying on property, Disney resorts are getting more of an edge. In just the year that we have been passholders, I’ve seen up to 37% off deluxe Disney resorts offered to passholders. Annual passholders will always receive the cream of the crop of hotel discounts. These discounts make it easier to get the most out of your annual pass because it makes it less expensive per trip to stay. The general annual pass affords more than just the basic benefits above. For one, you get free parking, meaning you can save $15 every day you visit any of the parks. One benefit that may not be clearly evident but has become increasingly important; you’re protected from price hikes. The price of a one day ticket just to visit the Magic Kingdom is now $99. An annual pass is $638 now. Prices went up twice while we had our annual pass, so it just meant we saved more each trip off the price of having to buy tickets every time. Also as previous passholders, during the renewal month, you can save $100 off the price of next year’s annual pass. There are also special offers for annual passholders, like early access to register for the ever popular runDisney events or discounts for stays at Disney’s Aulani in Hawaii. The passholder program has benefits and discounts for just about every type of Walt Disney World guest! For those of you reading that have never been or only been once, it’s high time for a trip back. Have questions about the passholder program or Disney World in general? Comment or contact me. I would love to help! I’ve been anxiously awaiting this post all month and excited to be linking up with Fran again. Here’s the March rundown with a lot more details than last month. 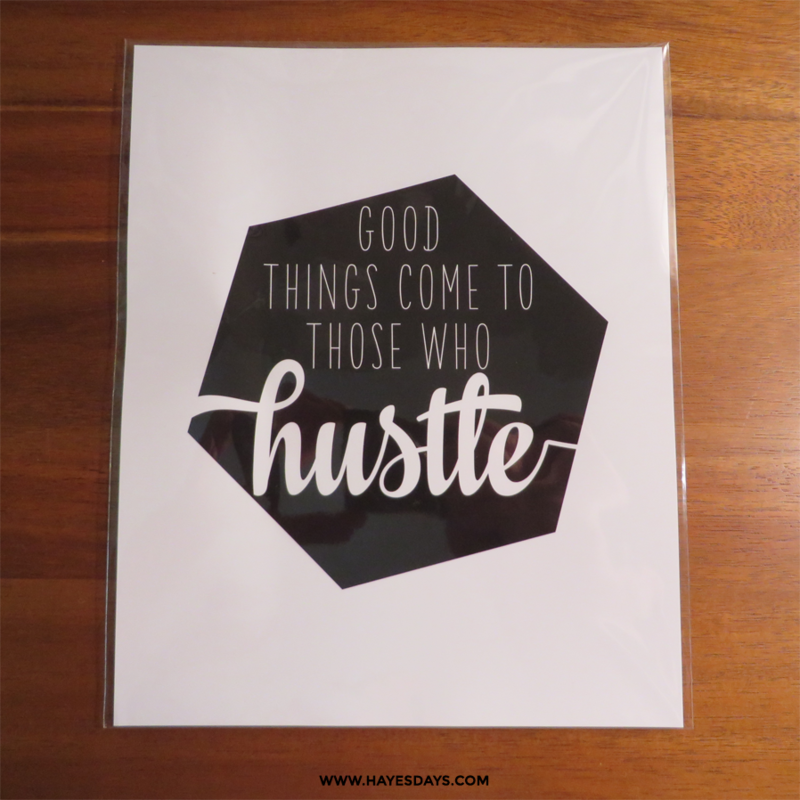 Saving half of what I make: Spent more, but I came in UNDER budget, so I consider this month a win. I’m not checking off the goal as met, but I now know it is more than attainable. Loosing weight: I did lose 5 lbs this past month, but it was because I got my wisdom teeth removed. I’m hoping it gets and keeps the ball rolling though. I was SO excited to find one of the metallic triangles sweatshirts left in my size at J.Crew early this month. I really wanted it, but I could never justify the price. With markdowns, promo, and rewards card I finally found it at a price that I was MORE than agreeable with. Patience pays off! After seeing Katie style her striped skirt several times, I knew I needed one. I found one I loved at Gap, and have remixed it three times. I recommend it highly. Those tiffany blue shoes have my heart. 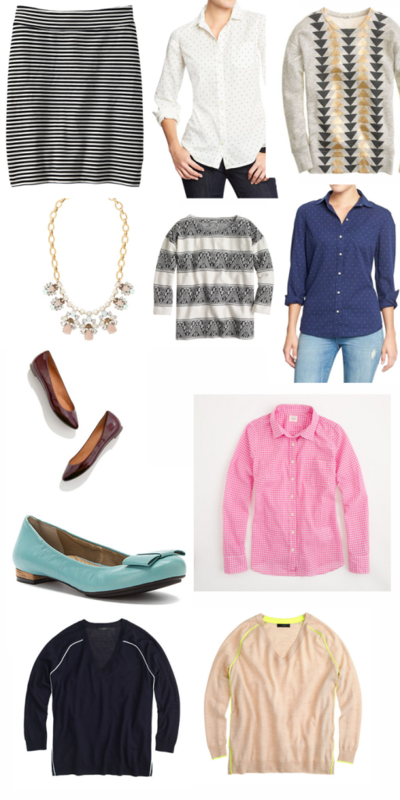 I highly recommend the brand me too for comfortable and supportive flats. You can find them just about anywhere. Some styles can look a little older, but for the majority of the time, she shoes are cute, often on sale, and comfortable. I have four pairs from that brand now. Andie piped chinos. Those got returned. After taking them to the store to return them and trying them on for someone with an opinion to see, they hit me at the wrong place, which is why I was meh about them. The Andie is supposed to hit closer to your natural waist. For me, it cut across my widest section. Kate Spade Highlighter Stripe Stevie. It just didn’t work out. I used it once and decided it wasn’t for me color wise, so it got reposhed. Anthropologie deletta waist weave top. This was from last fall. There was no elastic whatsoever in the waist weave part, so I needed a size up around my ribs, but then it would’ve been too big in the chest area. That top is also being reposhed. J.Crew Downing tote. I was SO disappointed in the quality of this tote. The leather itself is amazing and the tote is a good size, but there’s no structure to the bottom, meaning it’s eventually going to be a misshapen sack. ALL of the edges are unfinished so they will eventually fray. The straps will come separated because they’re sewn down the middle and not on the edges. These are just a few of the reasons it went back. I am looking for a cognac colored leather tote to last me 10-forever years, not just one. OK! So that was long, sorry, but I had a lot to share. Recap of my goals: spend half or less than what I earn selling, loose more weight, add bottoms to my closet, and focus on filling wardrobe holes! Phew. While I was out of commission this past weekend with my wisdom teeth removal, I got so much happy mail! 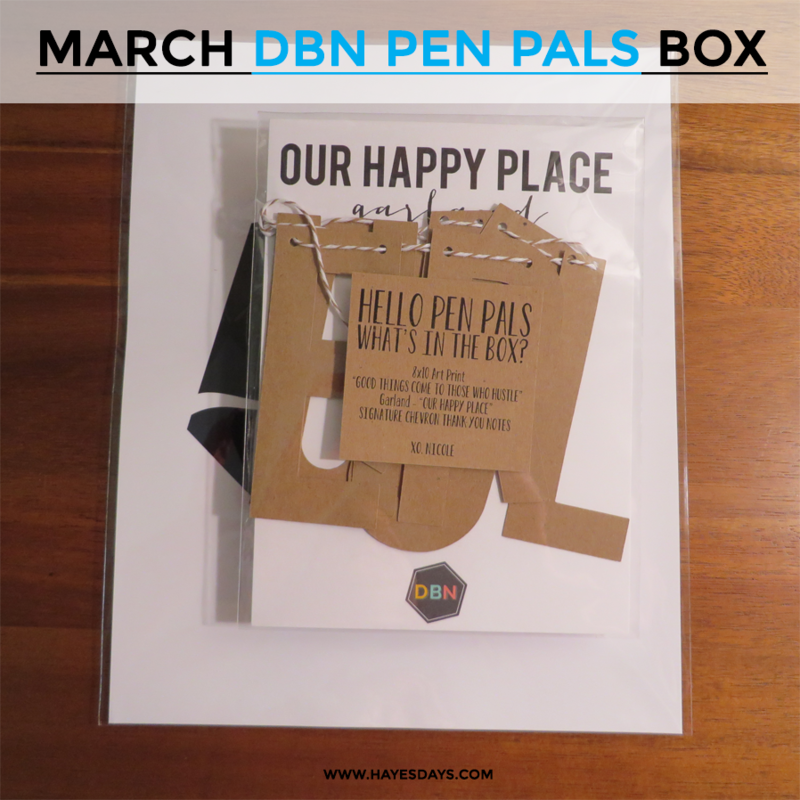 Included in this happy mail was my March DBN pen pals box. When I unboxed the garland, it got pinned up above our work-in-progress coffee station, since that’s the happiest place in this house! The garland is currently a DBN Pen Pals box subscriber item only, but rumor has it (from the boss lady herself) that it will soon be available in the DBN shop! Want to make sure you’re getting DBN Pen Pal exclusives and DBN early releases? Sign up to get your very own pen pals box by clicking here. 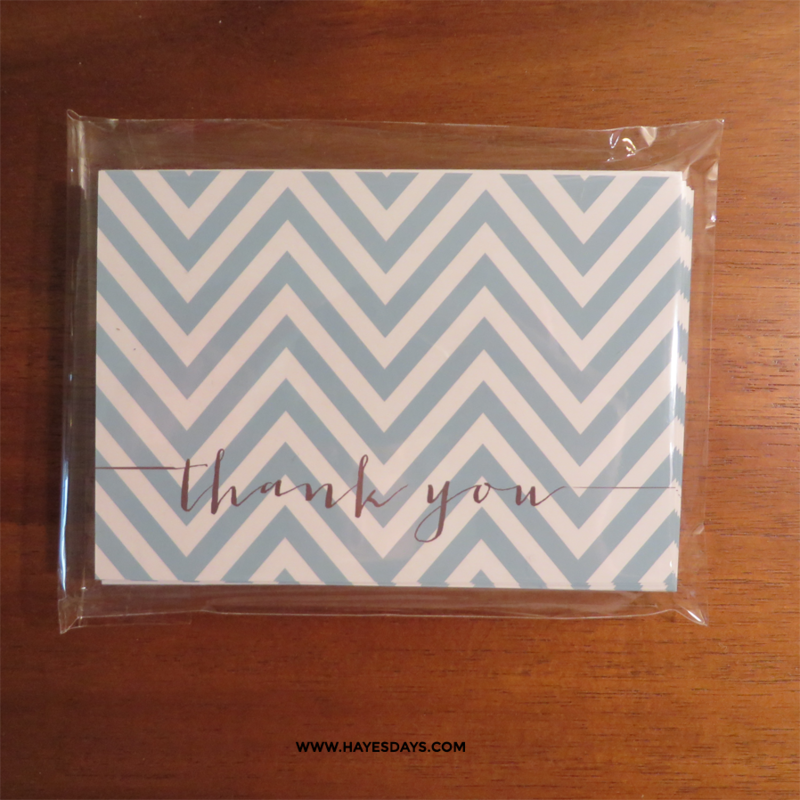 You’ll never have an excuse to not write a thank you note again! Sorry about my recent absence! After being sick two months in a row and now getting my wisdom teeth out, it’s been more than a double whammy around here. Things are finally getting back to normal! Here’s a quick and easy project I did two weekends ago that’s definitely worth sharing. It’s so simple it only needs five items to complete and has even fewer steps! 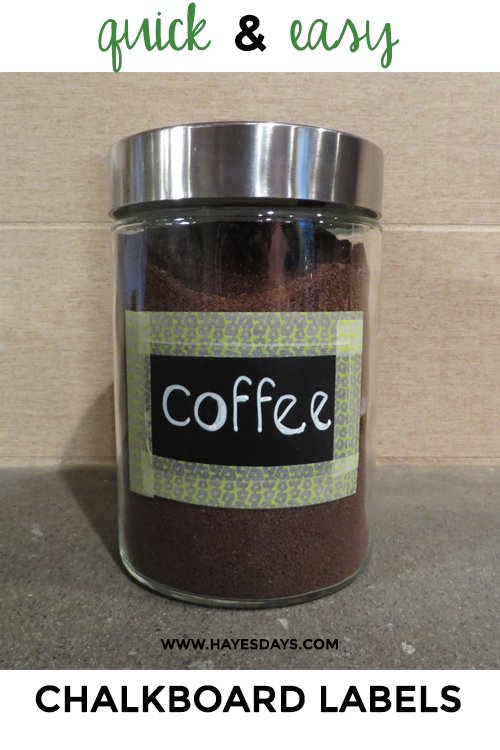 Then all you have to do is fill your jar! It’s so easy and took so little time I redid all my jars. 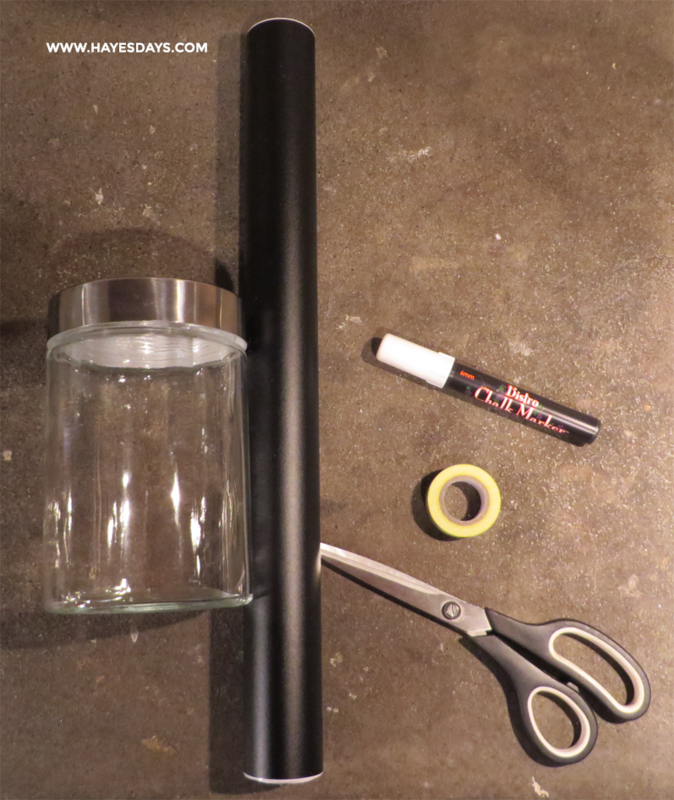 The chalkboard vinyl surface is perfect because you can just wipe it off and change the label as often as you change the contents of your jars. 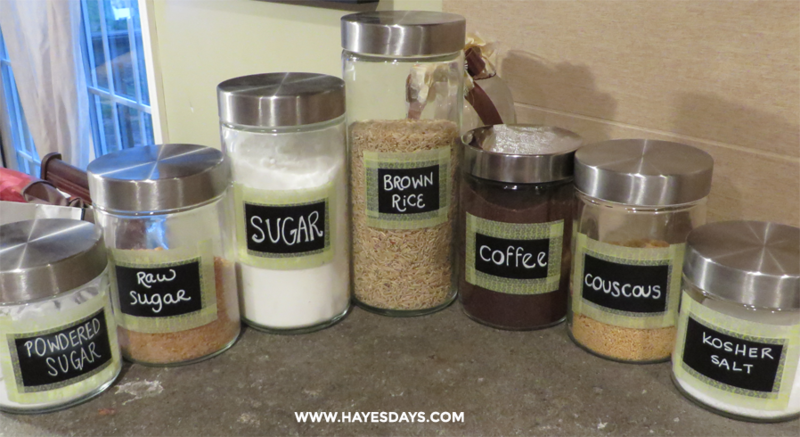 How do you label your jars at home? It’s Thursday! 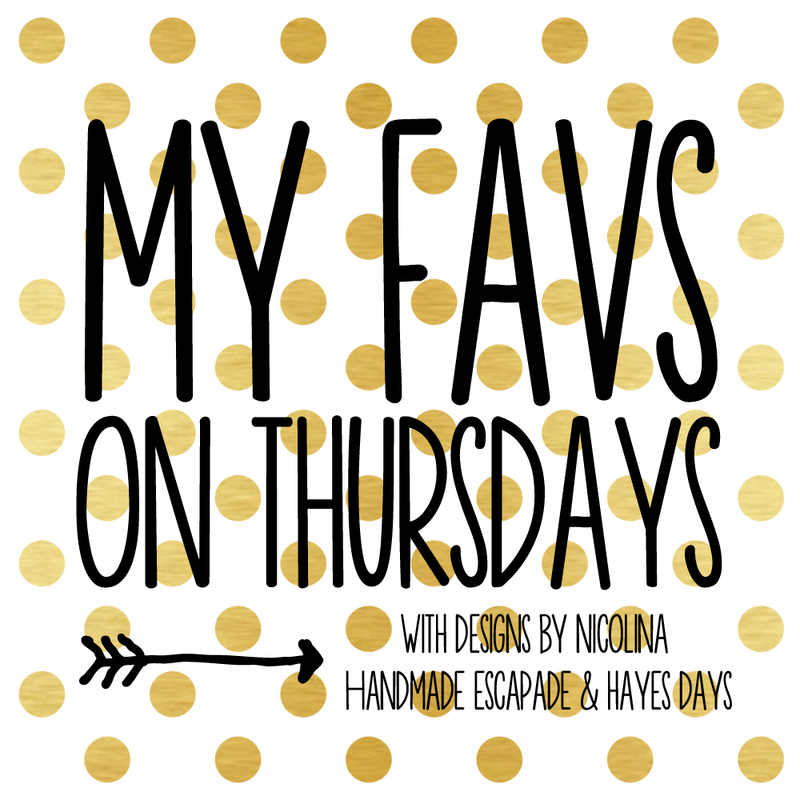 I’m linking with Katy and Nicole, of course, sharing our favorites. Want to share too? Link to the three of us in your post and make sure to comment on our posts so we can check out your favorites too! And they are my favorites. The contest revolves around the contestant’s love in general and their love for Lilly Pulitzer. Both of those my sister has covered. 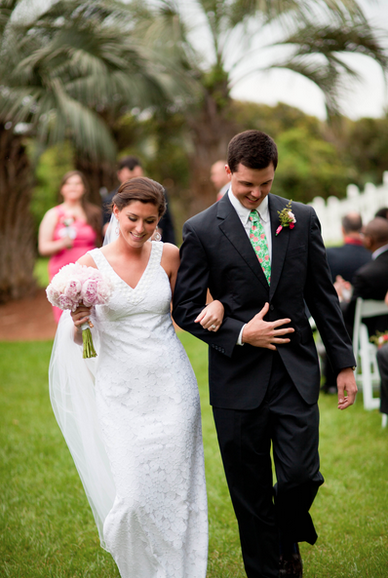 She got engaged in a Lilly Pulitzer store and got married in head to toe Lilly. The prize is a weekend at the Charleston Place Hotel. It would be great if y’all would vote for her by clicking here! Thank you so much! 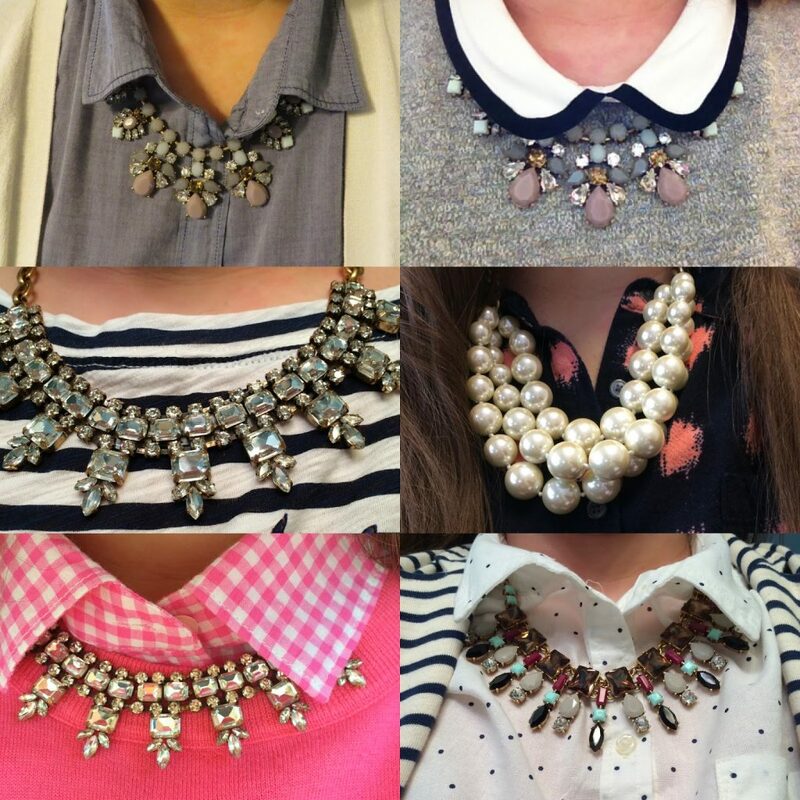 After adding another statement necklace last month to my choices from J.Crew, I completely understand how people can become obsessed with their designs. Their necklaces are beautiful and super versatile to boot! I got this one for this month’s pick on Monday and have already worn it twice. I see many more wears in the future for this one. It does look more gray in person, but the colors are fit for spring. Just two more months! 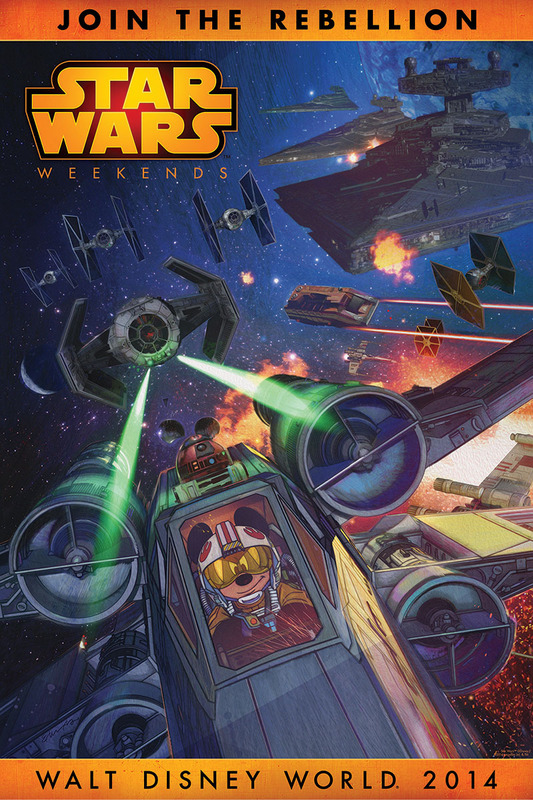 I cannot wait to be in Disney World for the first Star Wars Weekend this year! We caught the end thanks to our cousins last year and we were hooked! It’s so much fun. Parades, actors, shows, characters… so much to do in just one weekend. I was able to try these new pants on last week when I went into the store. J.Crew replaced my beloved Cafe Capris with the new Campbell. A full comparison post is in the works, but here’s a little secret: I love them! Look for a full write up next week. We cut the cord on our cable this week! It’s been so liberating and refreshing. All that money is back in our pockets! The little device that’s been a big help in this change is the Roku. My husband decided that the Roku 3 would work for us best because it automatically updates when Netflix does, it’s fast, and has motion sensors in it. Our amazon prime video, Netfix, huluPlus, and Aereo all come through the lovely little device. There has been a slight adjustment period, but that extra cash makes it all worth it! What’s been up with you this week? It has been a long one after all.